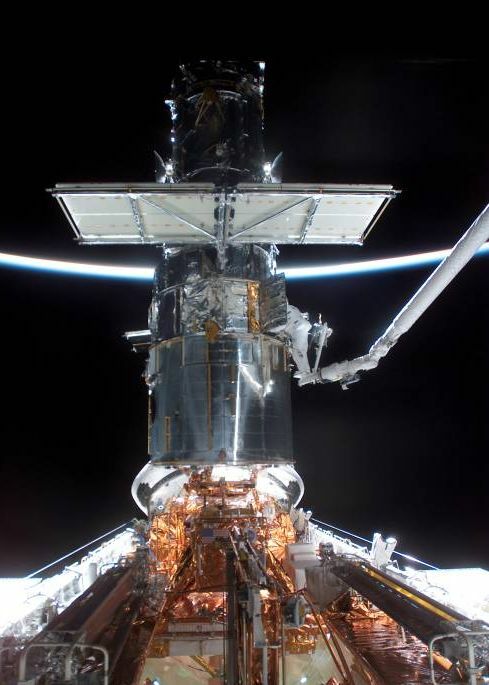 Explanation: Now complete, Servicing Mission 3B (SM3B) was really the fourth trip to the Hubble Space Telescope, as the originally planned mission 3 was split into two parts. Falling around planet Earth, about 320 nautical miles above the surface, the 13.2 meter long Great Observatory is pictured here in Space Shuttle Columbia's payload bay on March 5. Spacesuited astronaut Michael Massimino works under Hubble's "hood" while poised at the end of Columbia's Remote Manipulator System or robotic arm. 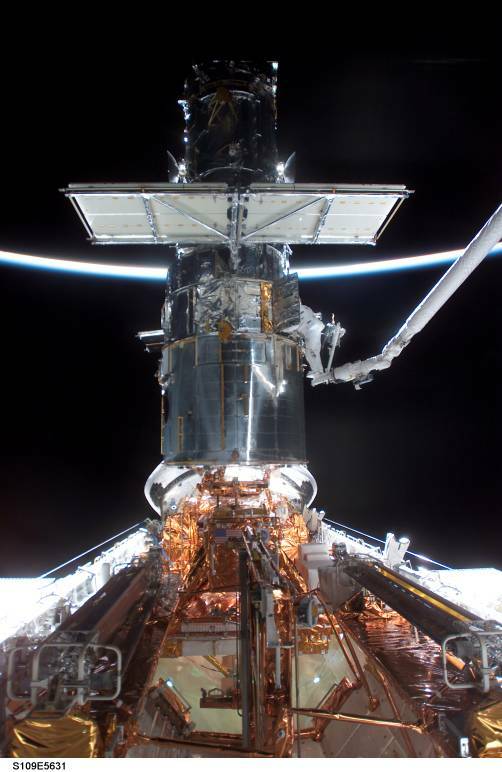 Columbia's arm extends from the picture's right hand edge and a folded solar panel rests horizontally above Massimino's position. Dramatic backlighting is provided by a smiling sunlit crescent of Earth's atmosphere. SM3B supplied Hubble with a new camera, and substantial power and instrument upgrades which are presently being turned on and prepared for operation. The next Hubble service call, SM4, is planned for 2004.